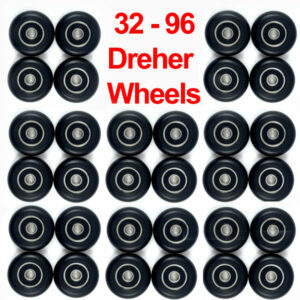 Bulk Team Order for Dreher Seat Wheels: Compatible with Stämpfli/Janousek, Pocock, Hudson 1xs and 2x/2-s, Resolute, Empacher, Van Dusen, Fluidesign, BBG, etc. Especially designed for salt-water usage. 32, 64 or 96 wheels.